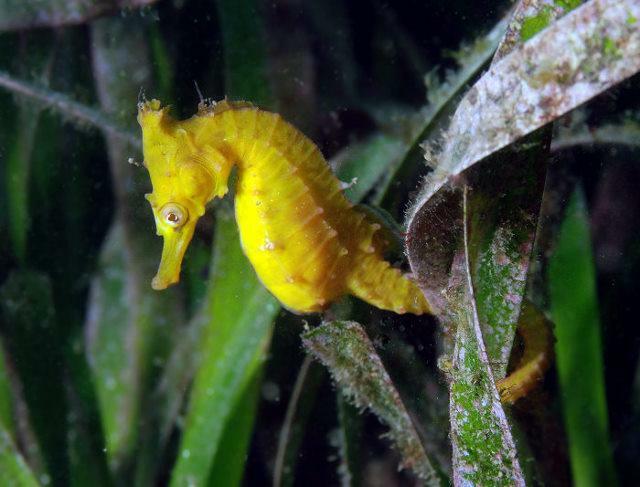 Seagrasses act as a ‘nursery’ grounds for fish and other critters like prawns. 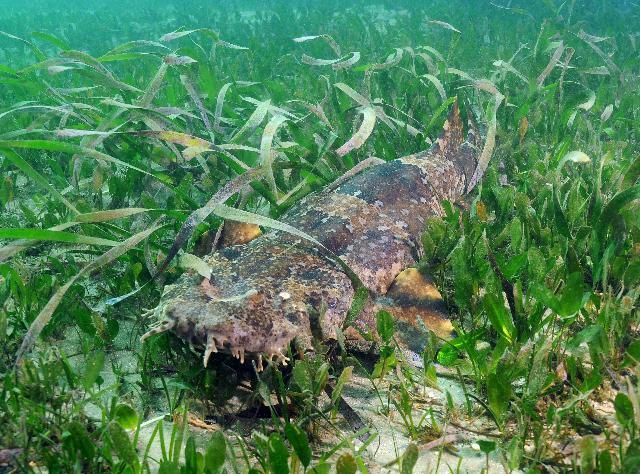 Without the dense canopy that the seagrass provides, predators may eat these critters before they make it into adulthood. Seagrass meadows are extremely effective at capturing carbon and can slow down climate change by storing carbon up to 40 times faster than terrestrial forests. Posidonia australis is a beautiful and slow-growing seagrass that makes extensive underwater meadows all over southern Australia, from Wallis Lake in New South Wales to Shark Bay in Western Australia. Unfortunately, seagrasses like Posidonia have become severely threatened by human activities and have been declining at an alarming rate. On average, seagrasses are declining at the same rate as coral reefs, that is – one soccer field every half hour! 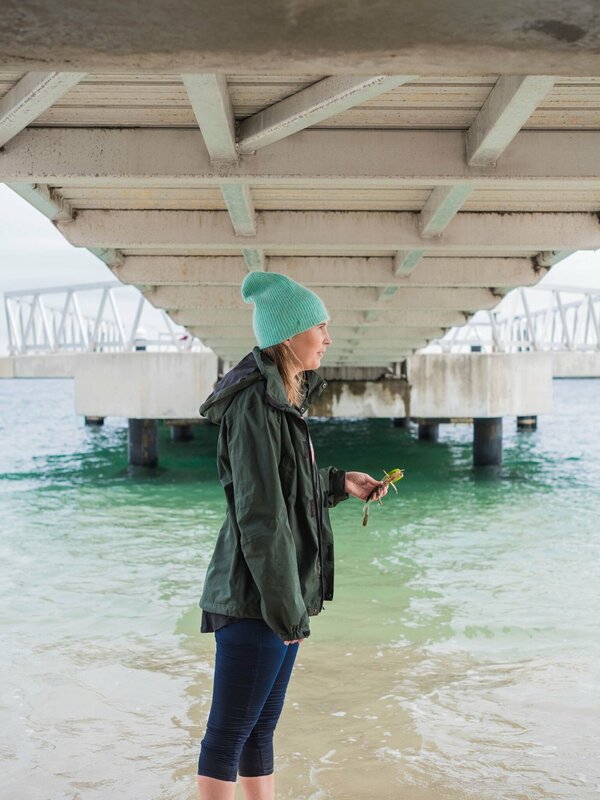 In eastern Australia, Posidonia meadows are found in sheltered bays, which are also preferred sites for us humans: this is where we often choose to live, work and play. Increased coastal development and pollution in these sheltered estuaries has led to major Posidonia declines over the last few decades. Photos: Aerial shots over Manly showing the presence of just a few boat mooring scars in 1942. By 2009, the remaining seagrass is visible as dark patches surrounded by some bare light-coloured sand where moorings scour the seafloor. Seagrass has continued to decline at an alarming rate in the last ten years. The declines of Posidonia meadows in the central parts of NSW (where most people live) have been so severe that six meadows have been formally listed as ‘endangered’ by both the Australian Commonwealth Government (EPBC Act) and the NSW government. 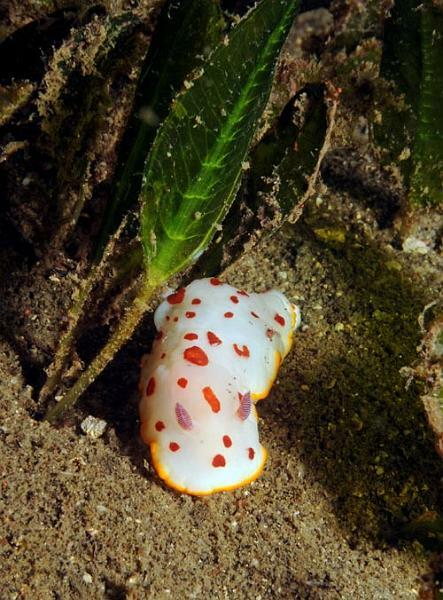 There’s a very real risk that this species may become locally extinct from some of these estuaries within the next 15 years unless new conservation actions reverse current trends. To reverse this decline and prevent further losses, there are now strict regulations that limit coastal development near seagrass meadows, and water quality has greatly improved in the last couple of decades, as we’ve become better at managing waste and reducing pollution. 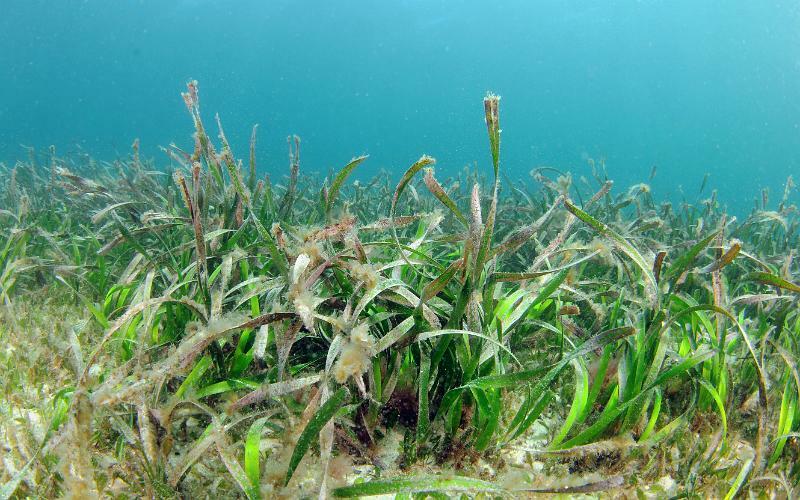 There are still some human activities that continue to be a problem, however, and are leading to the continued decline of Posidonia in some estuaries. Boat moorings are one of the most obvious current disturbances to seagrass habitats, as the sheltered bays where this seagrass naturally thrives are also the most ideal locations for people to moor their boats. The problem with traditional, fixed block-and-chain boat moorings is that they scar the seafloor and remove seagrass shoots, causing the formation of bare patches that fragment the meadow and destabilise the sediment. After some time, as the mooring scars get larger, bare patches start to merge and this leads to more Posidonia losses. Mapping has shown that mooring scars can be very large, form quickly and can take decades to recover fully once a mooring is removed. Mooring scars are clearly visible from the water’s surface and have been increasing as the number of moorings has raised. Across all of NSW, currently leased moorings are causing losses of around 130,000 m2 (that is more than 26 football fields! ), but the real loss is even greater, as many estuaries contain old scars that remain after the relocation of moorings. The aim of Operation Posidonia is to bring this seagrass back, along with the critters that live within its meadows. Once mooring chains are removed, however, the natural recolonisation of bare patches by Posidonia can be very slow, especially when mooring scars have expanded and altered local hydrodynamics. In some places it could take over 20 years for a mooring scar to be revegetated by Posidonia naturally. Our aim is to give nature a helping hand and promote the recovery of Posidonia by combining the restoration of Posidonia in old mooring scars where swing moorings have been removed. Because Posidonia is a protected species classified as ‘endangered’ in many NSW estuaries, one of the greatest challenges for restoration is finding donor shoots to revegetate the mooring scars. Operation Posidonia has come up with an exciting solution to this problem, but it relies on getting help from local communities. We are asking 'citizen scientists' to collect donor shoots from their local beach. Living, green Posidonia shoots often wash ashore after storms, where they will soon perish unless returned underwater. Citizen scientists can collect these detached seagrass shoots and bring them to one of our collection spots. We will then use these shoots to restore seagrass populations without damaging existing Posidonia meadows. We are aiming is to enlist the help of dog walkers and local beach-goers, who can join a local ‘seagrass storm squad’ and be part of the solution. 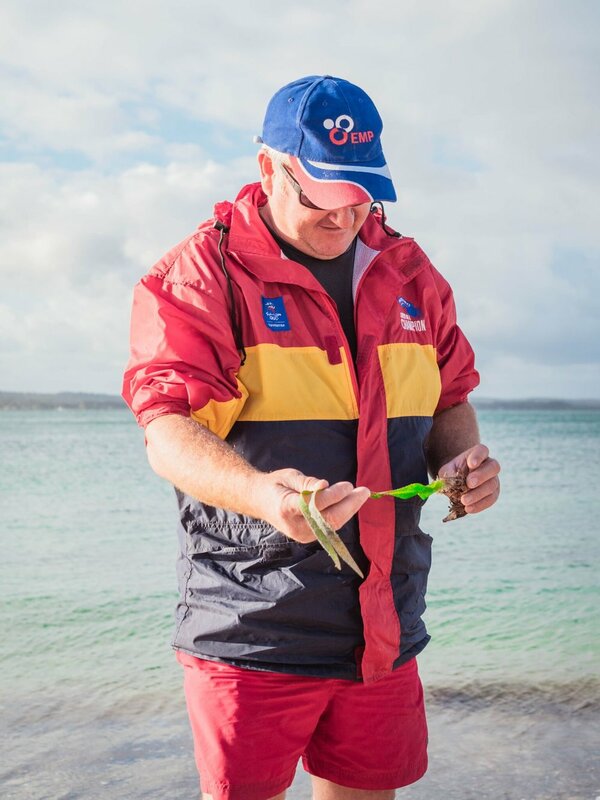 We are launching Operation Posidonia in Port Stephens, in central NSW. Scientists have selected this location because it represents one of the healthiest estuaries in NSW. Although Posidonia is currently not threatened in Port Stephens, there are many boat mooring impacts in this estuary (2nd most of any estuary in NSW), with some mooring scars as large as 700 m2. 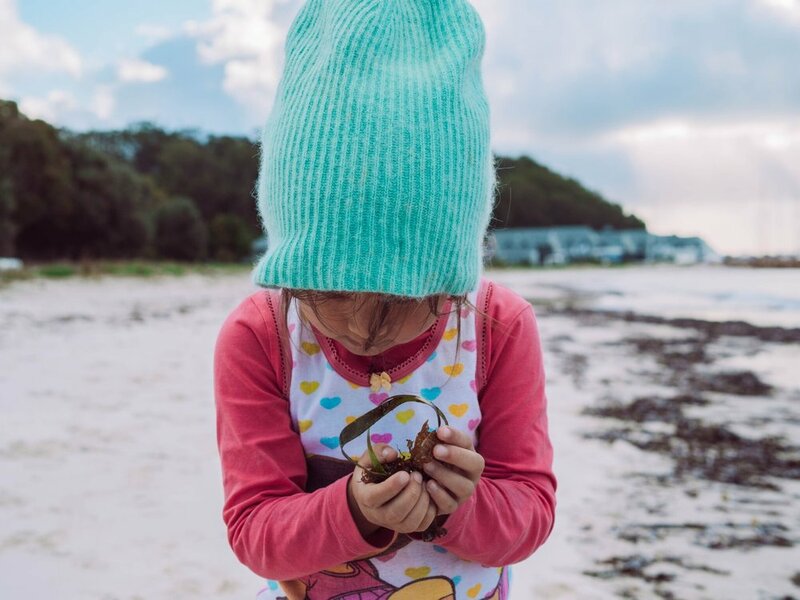 Port Stephens is also an ideal location because it is the headquarters of Fisheries, NSW Department of Primary Industries, who have led the development of the novel seagrass restoration methods used in this study. We aim to develop a proof-of-concept restoration method that we can then apply to revegetate Posidonia meadows in other estuaries, where there the species is endangered and there’s a risk it may become locally extinct. WANT TO JOIN OUR CITIZEN SCIENCE PROGRAM?